BAY HARBOR ISLANDS, Fla., /PRNewswire/ -- Diane Walder Dermatology by Riverchase is pleased to announce the launch of the new AQUAGOLD® fine touch™ microchannel device from Aquavit Pharmaceuticals. Diane Walder Dermatology by Riverchase is one of the first locations in the area to provide AQUAGOLD treatments, which can be used for skin rejuvenation in combination with other common procedures such as neuromodulators, Hyaluronic Acid and many other aesthetic treatments. 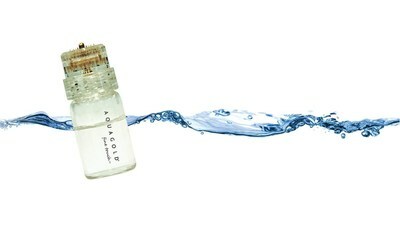 AQUAGOLD® fine touch™ is a unique microchannel device that effectively and comfortably delivers small droplets of customized treatment solutions directly into the skin allowing for greater absorption of the active ingredients. AQUAGOLD® treatments provide an enhanced ability to address fine lines, increase collagen stimulation, minimize pore size and improve overall moisture and rejuvenation of the skin. Please visit www.dianewaldermd.com or call 305-866-2177 for more information on Diane Walder Dermatology by Riverchase and AQUAGOLD® fine touch™ www.aquagoldfinetouch.com. Diane Walder Dermatology is one of the leading cosmetic dermatology practices in the United States, renowned for its cutting edge and innovative treatments. As board-certified dermatologists with many years of experience, Dr. Walder and her team's reputation as experts in the field of dermatology has grown alongside a distinguished clientele that includes heads of state, industry leaders, entertainers, and athletes. Dr. Walder and her team are often consulted as expert resources for national publications and broadcast media outlets, quoted on a regular basis in magazines that include Vogue, Allure, Cosmopolitan, and Glamour.